“My Friend Elvis” package holders will join Elvis' close personal friend Jerry Schilling for an unforgettable, unique Graceland experience during the 2019 Elvis Birthday Celebration. Jerry first met Elvis in 1954 and they developed a friendship that lasted a lifetime. From personal moments with Elvis spent at Graceland, to concert tours throughout the US, to a secret visit to the White House, Jerry was there. As part of this first-ever birthday package featuring Jerry Schilling, fans will get an insider look at what life was like with Elvis as told through the eyes of one of his closest friends. The package can be purchased here. At 11:00 a.m., the Elvis Birthday Party on Wheels bus will depart Graceland for an excursion to where it all began to Elvis’ birthplace - Tupelo, Mississippi. Fans will enjoy lunch at Vernon’s Smokehouse before hopping aboard the Graceland Excursions bus along with special guest host Tom Brown for a trip filled with music, trivia and fun down highway 78 to Tupelo. In Tupelo, guests will see significant Elvis landmarks such as the Tupelo Fairgrounds, the Elvis Homecoming Statue, Tupelo Hardware, schools that he attended and the Elvis Presley Birthplace with a meet ‘n’ greet with Elvis' childhood friend Guy Harris. Tickets available here. At 7:00 p.m. "Viva Las Vegas" Sing-A-Long at the Guest House Theater. Enjoy a screening of Elvis fan favorite film "Viva Las Vegas" while singing along to some of your favorite songs from the movie, including "Viva Las Vegas," "The Lady Loves Me," "C'Mon Everybody" and more! FREE. Limited seating available on a first-come, first served basis. The Elvis Birthday Brunch will be held at 9:30 a.m. in The Guest House Ballroom. Host Tom Brown will welcome first-time guest Charlotte Stewart, who co-starred with Elvis in the 1968 movie “Speedway.” Charlotte also starred as Miss Beadle in "Little House on the Prairie" and as Betty Briggs in "Twin Peaks." Charlotte will share some of her favorite memories of being on set with Elvis. Tickets available here. 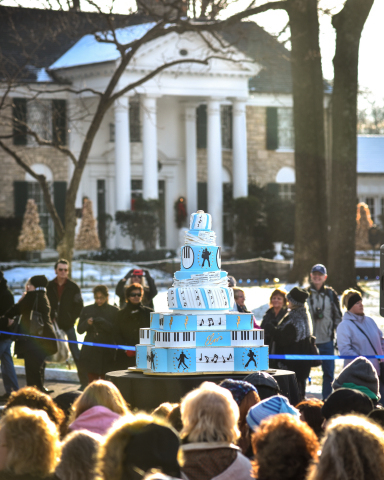 The annual Elvis Birthday Proclamation Ceremony will be held at 9:30 a.m. on Graceland's North Lawn. The special ceremony will feature Graceland/EPE officials, a birthday cake cutting and proclamation of Elvis Presley Day by Memphis and Shelby County officials. Following the event, complimentary birthday cake and coffee at Vernon’s Smokehouse, Elvis Presley’s Memphis. Elvis Presley’s Graceland, in Memphis, is music’s most important and beloved landmark, with hundreds of thousands of fans from around the world visiting the historic home each year. Elvis Presley Enterprises, Inc. (EPE) manages the operations of Graceland and its related properties, including Elvis Presley's Memphis, Graceland's new entertainment and exhibition complex over 200,000 square feet in size; the AAA Four Diamond Guest House at Graceland 450-room resort hotel; and the Graceland Archives, featuring thousands of artifacts from Elvis’ home and career. EPE also produces and licenses Elvis-themed live events, tours, and attractions worldwide. Graceland Holdings LLC, led by managing partner Joel Weinshanker, is the majority owner of EPE. 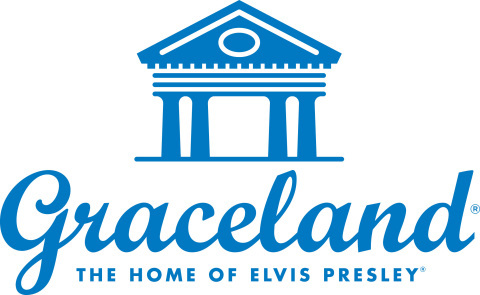 Graceland is the only attraction worldwide to ever receive five USA Today 10Best Readers’ Choice Awards: in 2018, it was voted “Best Tennessee Attraction” and Best Holiday Historic Home Tour, in 2015 voted the world’s “Best Musical Attraction” and “Best Historic Southern Attraction,” and in 2013 voted the #1 “Iconic American Attraction.” In 2018 TripAdvisor Travelers’ Choice Awards named Graceland one of the top 25 landmarks in the world and it was named one of 10 Great American Music Landmarks by Rolling Stone. For more information on EPE and Graceland, visit www.graceland.com. Music fans from around the world will travel to Elvis Presley’s Graceland January 5-8 to celebrate the King of Rock ‘n’ Roll’s 84th birthday.